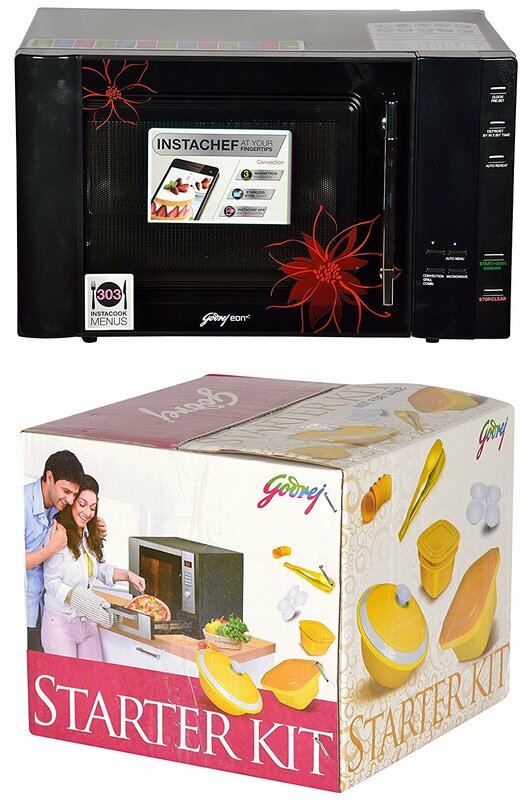 Godrej 30 L Convection Microwave Oven GME 30CR1 BIM has good features for easy cooking at home. 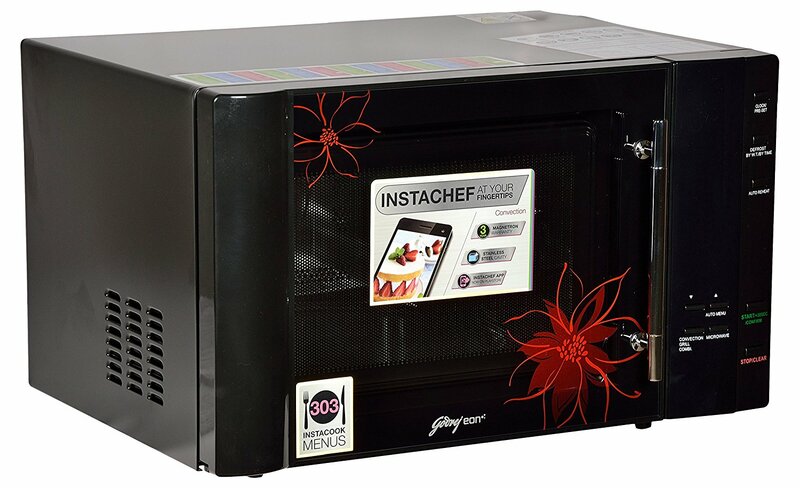 It has motorized rotisserie, 50 InstaCook menus, combination cooking and 3 years of warranty on magnetron. 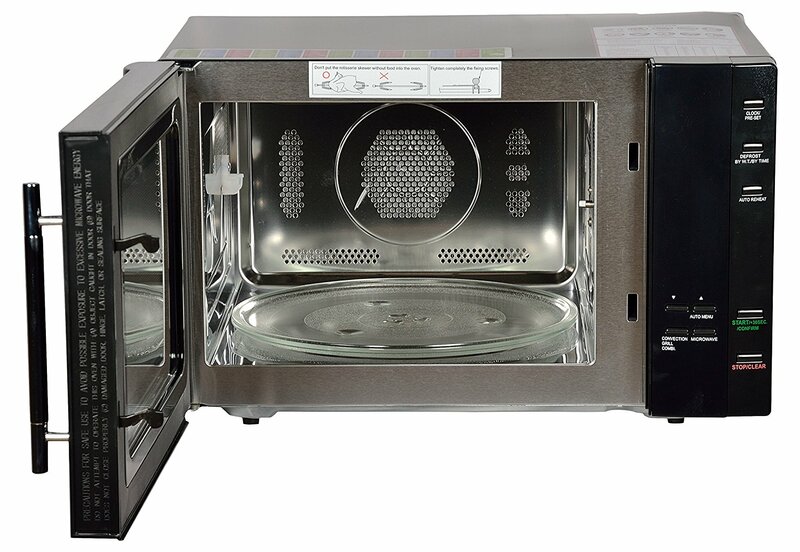 This Godrej 30 liters microwave oven uses a fan and a heating element to form a heating element to create airflow pattern inside. This feature is very helpful to ensure the best browning of the food in the fastest possible time. 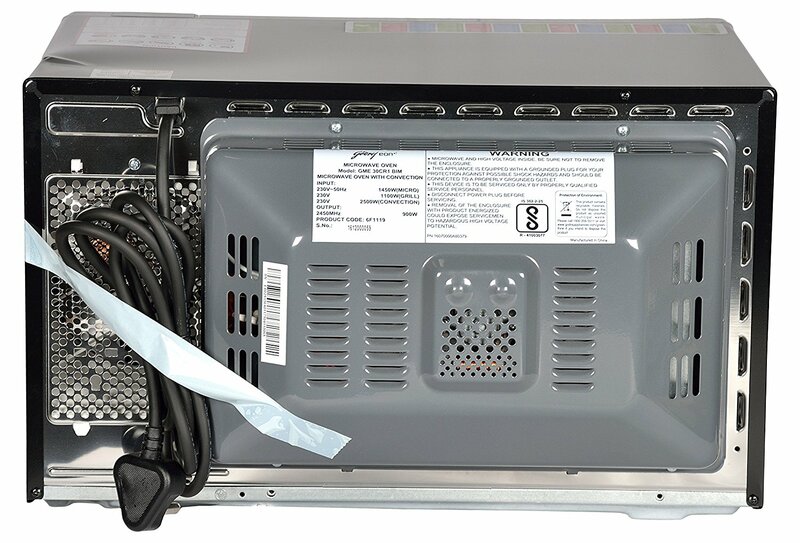 With addition of such feature, this unit is perfect for those who love baking cakes, muffins and others. On the other hand, with the rotisserie function it is really very helpful for barbequing in your own kitchen. 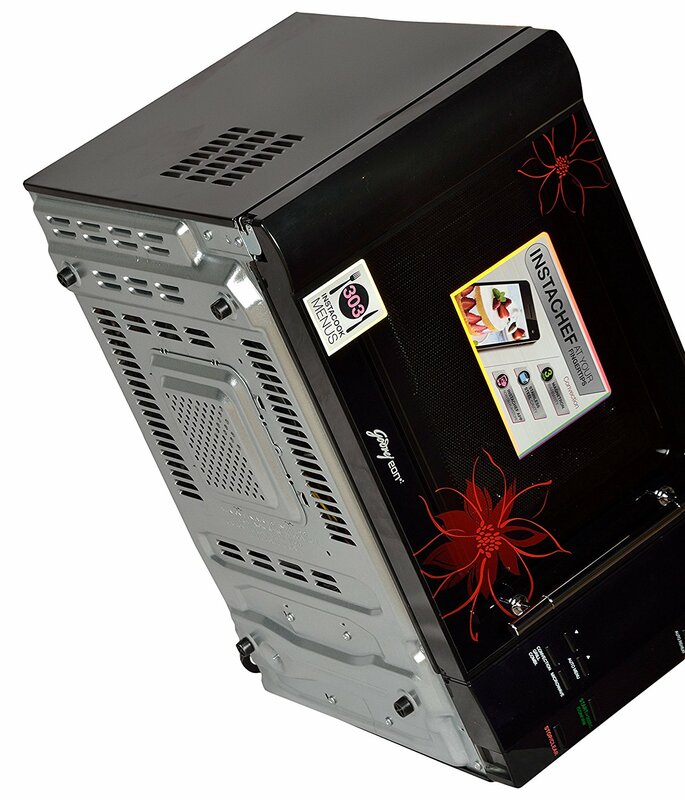 Further, it supports all types of cooking such as defrosting, grilling, roasting, baking and barbequing. 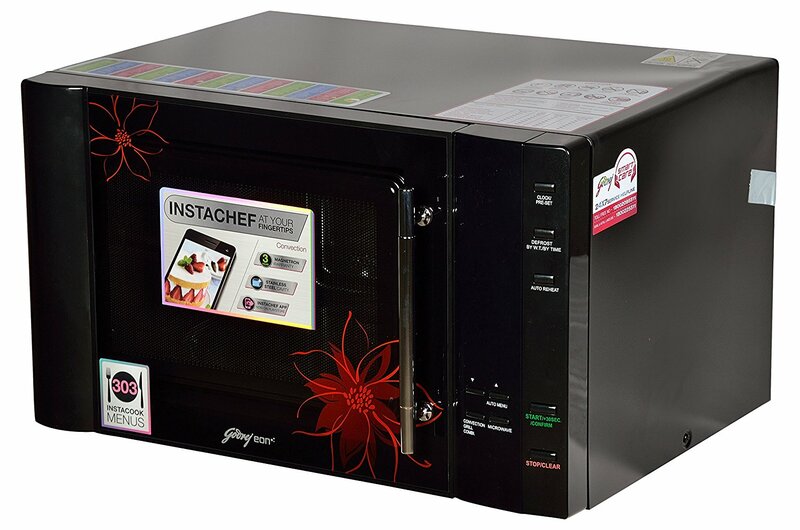 Godrej 30 L Convection Microwave Oven GME 30CR1 BIM gives you 50 different recipes by pressing just a button. This oven is perfect for a family of 6-8 members.